When I first started design as a discipline it was at secondary school with Graphics class, my favourite class after Art! I think that may have had a bit to do with my never-ending obsession with accuracy. One of our first lessons was ‘Keep it Simple and Succeed’. It remains one of the most important lessons I have learnt and I apply it to lots of parts of my life and my creative ventures. 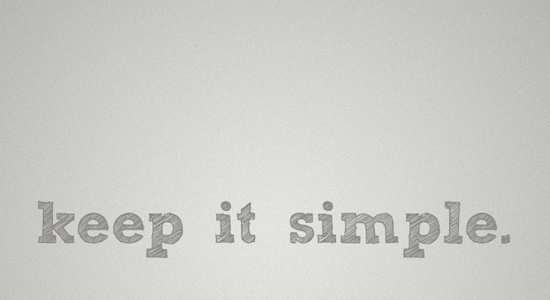 Simplicity can be a deceptively hard thing to strive for though.